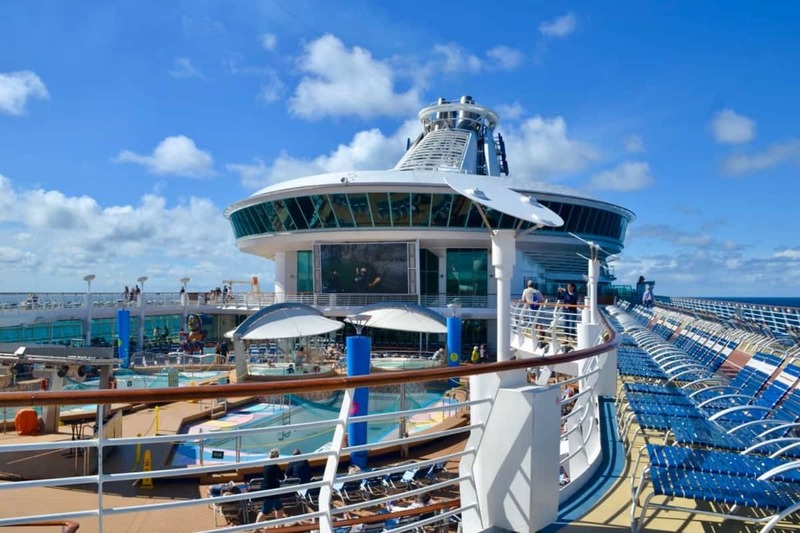 Welcome back to day seven of our daily postcards from onboard Royal Caribbean’s Navigator of the Seas as she sails Back to the 80’s with Cruiseco. I always go into panic mode on the last day of a holiday, trying to fit in as much as possible to make the most of the last precious hours. Our last day onboard the Navigator of the Seas was therefore an action packed one! 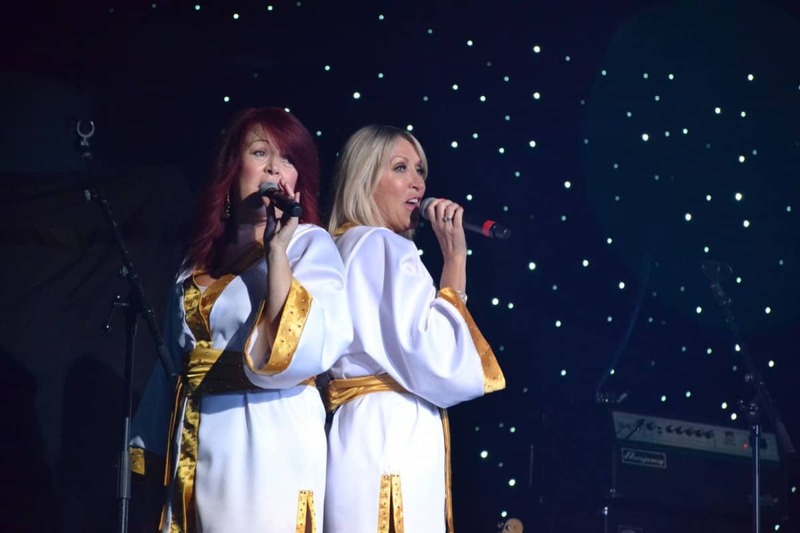 It started with a leisurely breakfast with Claire and her girls in the Sapphire Dining Room where we planned our day with the help of the ships newspaper and entertainment guide – Cruise Compass. It was a unanimous vote for swimming and the kids were really keen to dance, so with the 80’s music acts starting at midday we went straight up to the pool deck to get into our bathing costumes. 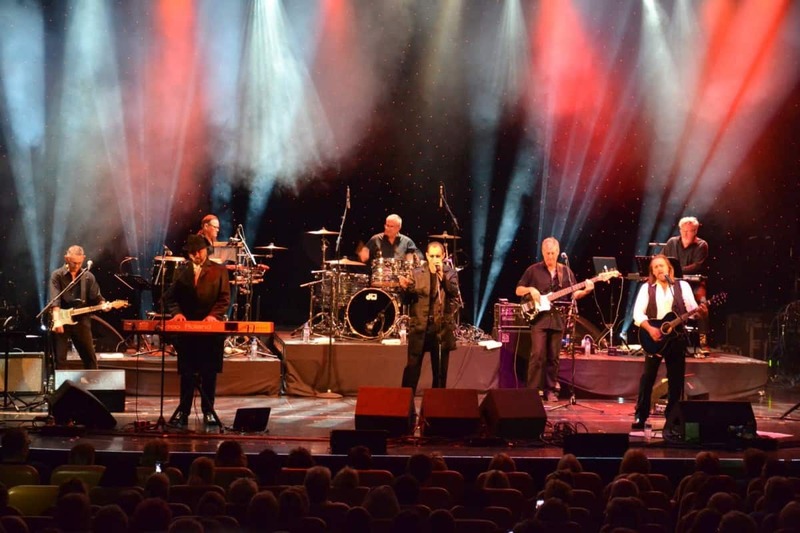 After a quick dip we headed to the ships main theatre, the Metropolis, to watch the Best of the Bee Gees, a tribute act who have performed over 1000 shows to Bee Gees fans throughout Australasia. I don’t think I quite realised how many brilliant hits the Bee Gees produced and surprised myself by singing along to most of the show. Of course the popular hits – Night Fever, How Deep is Your Love and Massachusetts had everyone in the crowd singing along. As the kids were getting a little fidgety and pestering to dance we snuck out of the theatre and popped along to AbbaDreaM, an Abba tribute act. This performance in the studio was much more kid friendly with a huge dance floor for them to prance around on whilst Claire and I enjoyed watching the dance routines and listening to the Swedish banter between the two female performers, Anna and Frida. Still singing along to Dancing Queen we went for lunch and to get ready for our important date, a tour on the Bridge, with the ships senior deck officers. After being frisked by security (much to the interest of passing fellow passengers!) we entered the ships command centre to learn about the navigational equipment and safety systems on board the Navigator of the Seas. I’ve been fortunate to experience a behind the scenes tour of a ships bridge before during my time working at sea, however along with Claire, I was still fascinated to learn how the deck officers plan the ships route months in advance and loved watching the screens showing other vessels cruising in the area. 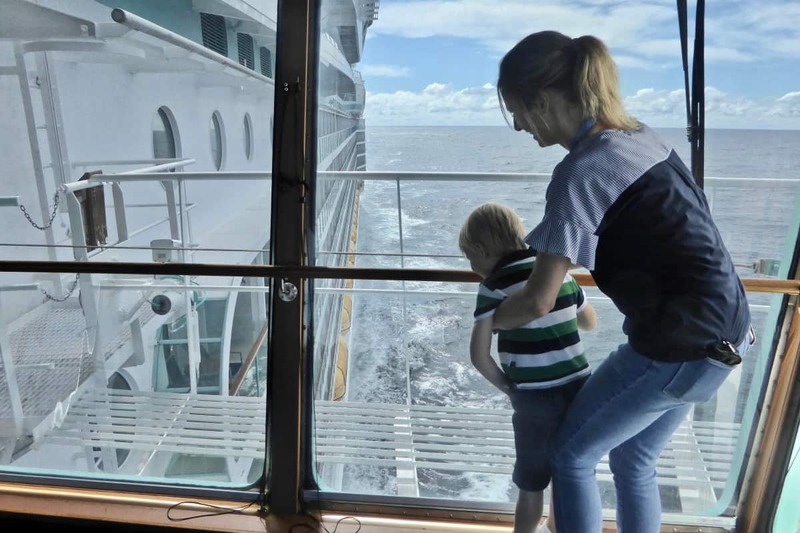 As a ships bridge is located right at the front of the ship with wraparound glass windows not only is it perfect for monitoring weather conditions and sea traffic it’s also hands down the best spot for views of the front of the ship and along both sides. My son was delighted to take hold of the ship’s wheel, not a big steering wheel as you would expect but one smaller than a cars. His face was beaming when he was invited to sit in the Captains chair and he thought it was very amusing to be able to spot his Paw Patrol toy on our cabin balcony from our vantage point on the glass side wing. 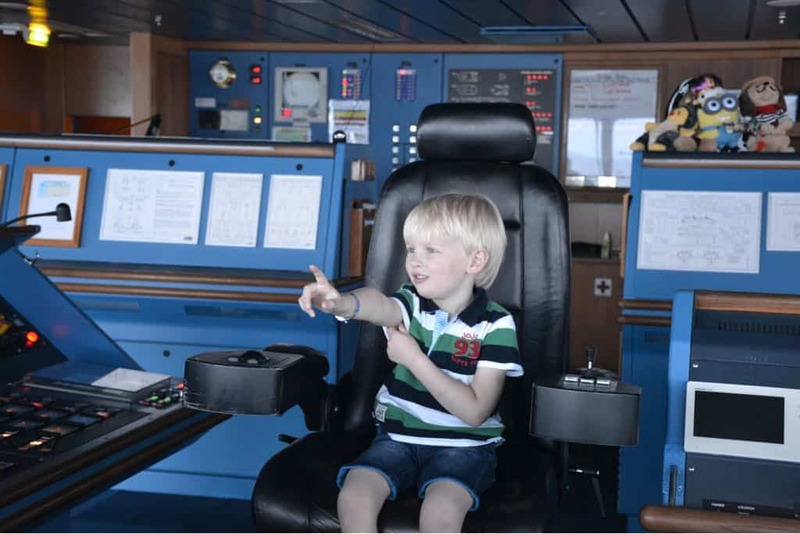 (*In case you are wondering, Bridge and engine control room tours are available from $89 per guest on Royal Caribbean ships, available via the shore excursions department). One of the kids club services we hadn’t taken advantage of during our cruise was the ‘Adventure Dining’. 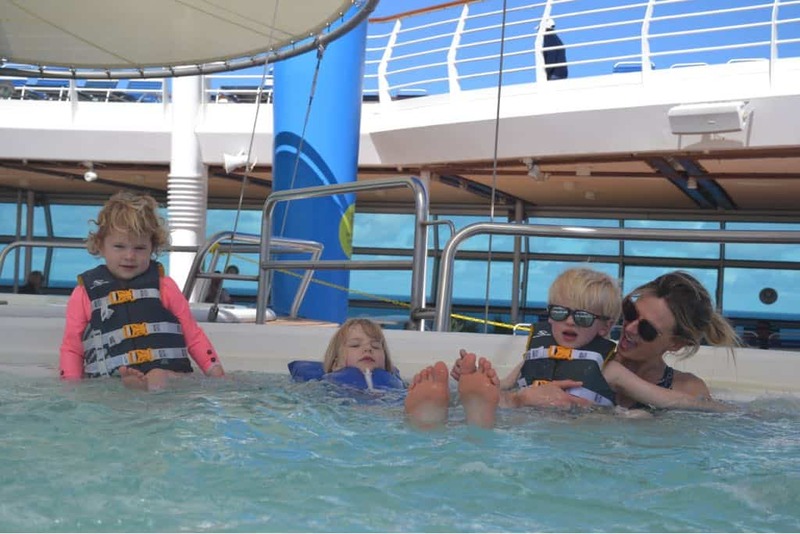 A free service for 3+ year olds, where kids are taken by the kids club staff for dinner onboard. As it was our last night we decided that we fancied a break from the normal fun but chaotic dining experience and so dropped all three kids off earlier than normal and headed to the formal dining room to request a table for two. What a difference it made! During dinner Claire and I actually enjoyed an uninterrupted conversation without the need to go back and forth to the toilets or break up any squabbles. I’m fairly certain that if we’d tried this earlier in the cruise we would have done it more than once. After a quick drink listening to karaoke we popped along to our last 80’s performance of the cruise, ABC. It was a perfect end to a fun and memorable week listening to Martin Fry, the now sole member of ABC perform songs from the 1982, debut album ‘The Lexicon of Love’ through to the more recent ‘The Lexicon Of Love II’ album. Claire and I planned to share a daily postcard featuring our last morning onboard but to be honest, we were all off the ship and heading home by 9.00am and so there’s really not much to share! We enjoyed our last breakfast in the buffet restaurant before heading to muster stations to wait for our turn to leave the ship. As we approached the muster stations we were told that we could go direct to the gangway as they were running a little ahead of schedule. 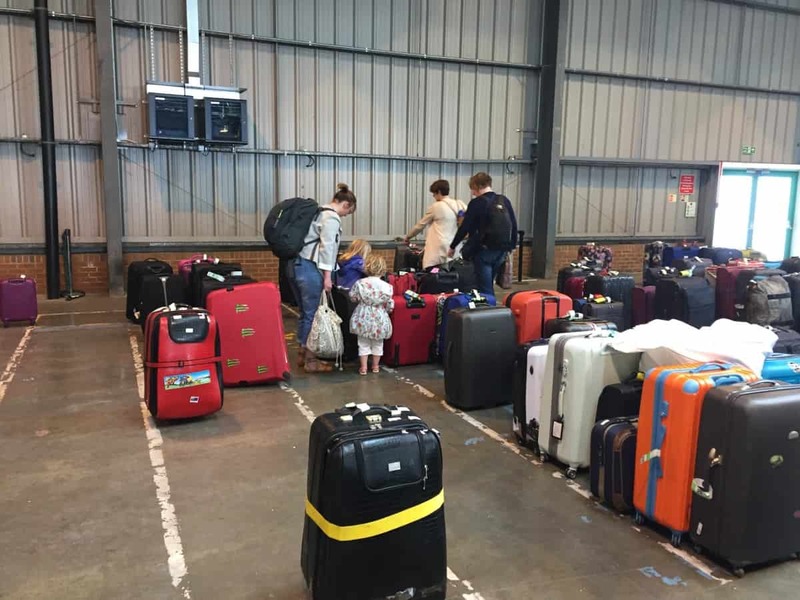 As per our embarkation it was a stress free, seamless experience which we really appreciated with three tired kids who had been in kids club until 10.30pm. 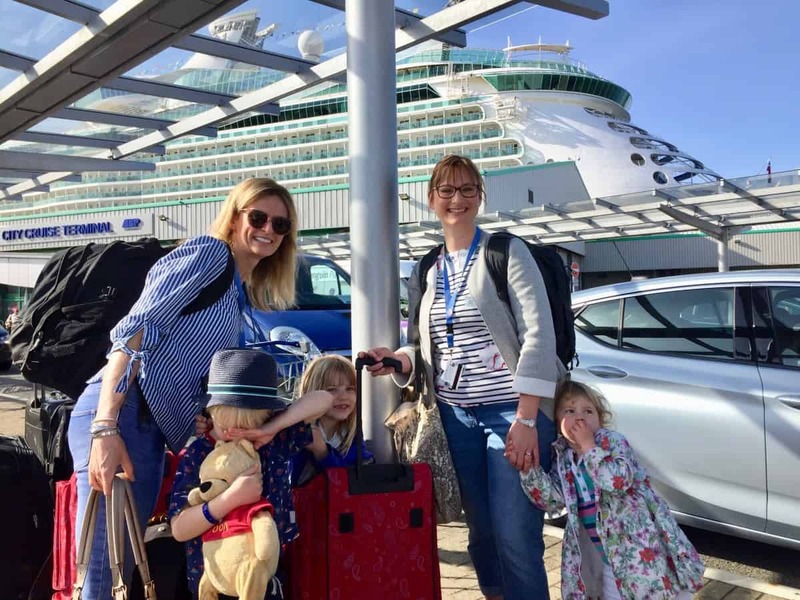 We felt that Royal Caribbean have really perfected the logistics of getting all passengers on and off the ship on turnaround days making it a very easy and convenient way of travelling with young children. And here is the last photo of our little group, taken in nearly the exact same spot as a week earlier when we first arrived all eager to get on the ship and sail back to the 80’s! I would love to know how many 80’s tunes we sang and danced to over the seven-day cruise, although I wouldn’t like to see how much food we consumed! We would like to thank Cruiseco for inviting us onboard the Back to the 80’s Cruise. It was a truly fabulous week and we will all really miss the fun atmosphere onboard the Navigator of the Seas. We look forward to sharing more about the 80’s performances and our experience cruising with Royal Caribbean for the first time here on Cruising with Kids and also on our own websites, Tin Box Traveller and Travel Loving Family. I’ve never considered taking my kids on a cruise tbh I thought ships were full of old people but reading this has changed my mind. Love the idea of the kids club staff taking them for dinner too. What a treat!